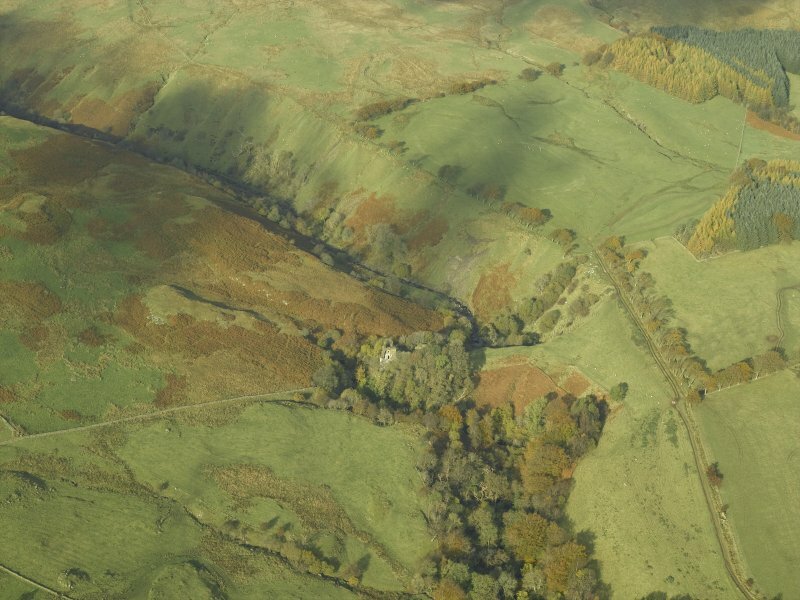 General oblique aerial view centred on the remains of the castle, taken from the SSE. 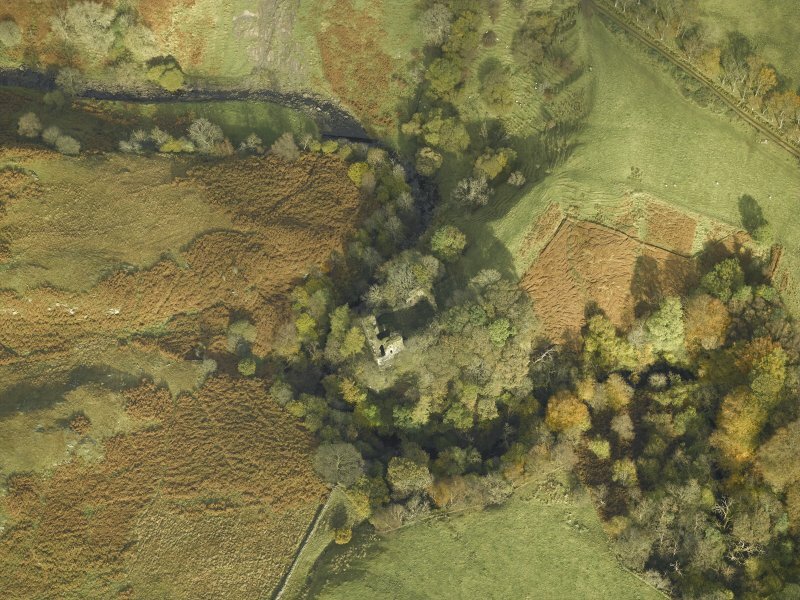 Oblique aerial view centred on the remains of the castle, taken from the SSE. 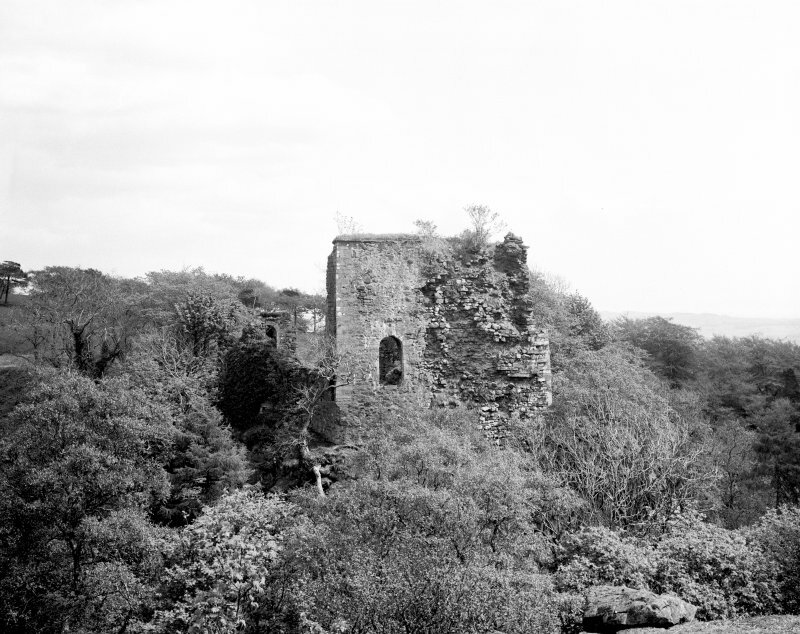 Glengarnock Castle. View of interior from NE. 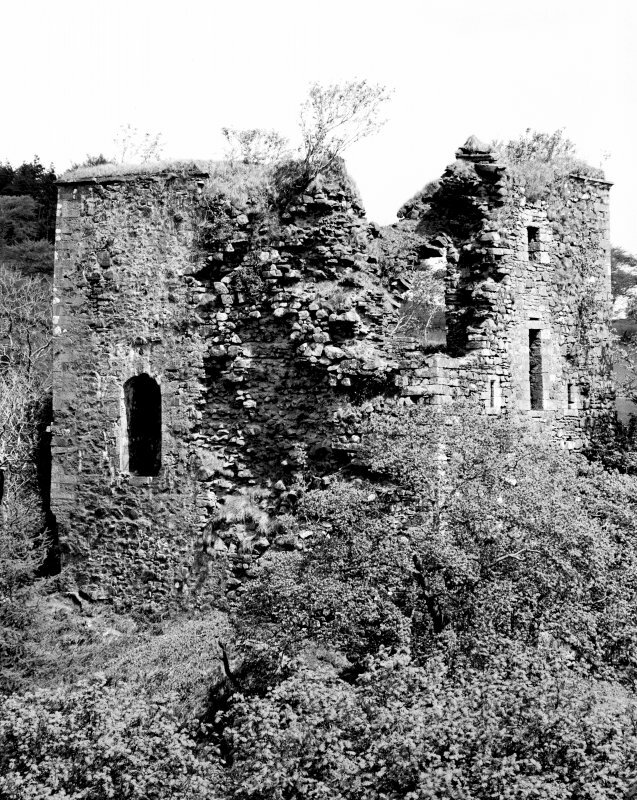 Glengarnock Castle. General view from W.
Glengarnock Castle. View from SSW. 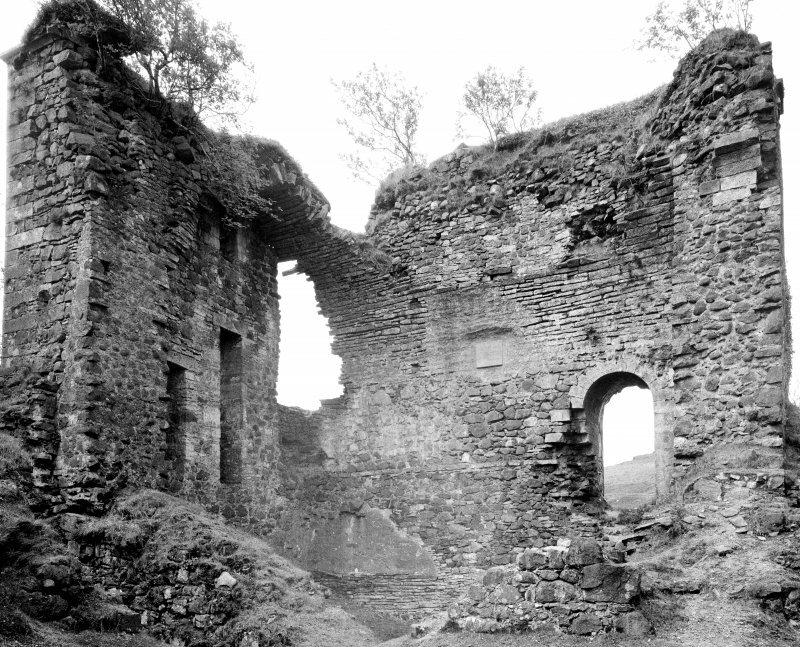 Glengarnock Castle. View from NE. 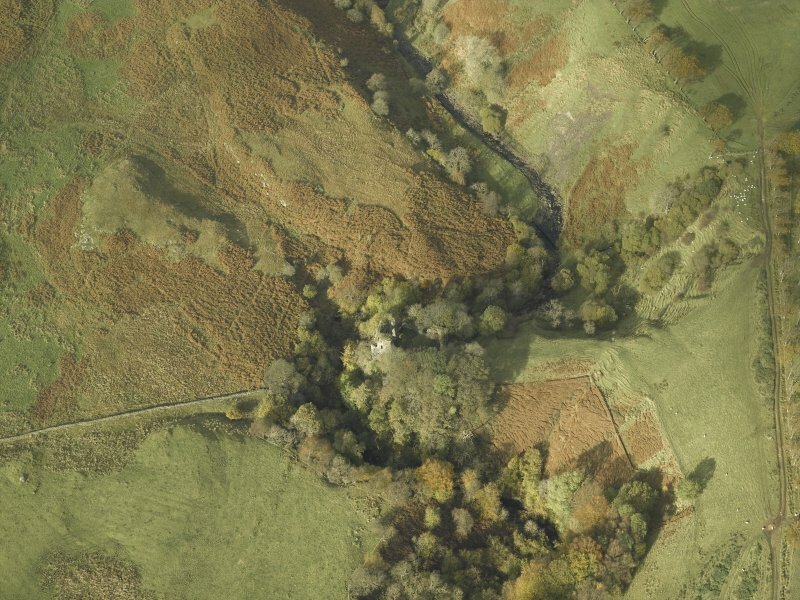 Oblique aerial view centred on the remains of the castle, taken from the SSW. 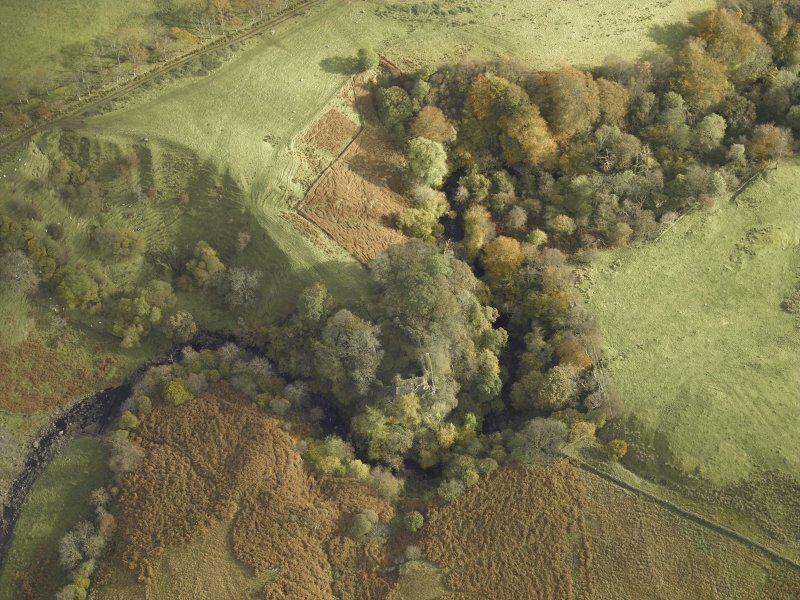 Oblique aerial view centred on the remains of the castle, taken from the W.
Glengarnock Castle is an example of a keep with courtyard attached, of the period 1400-1542, and with various later buildings in the courtyard. The keep measures about 45 1/2ft by 31 1/2ft, with vaulted ground and first floors. It is too ruinous to say whether there were other floors. The buildings round the courtyard have been at least two storeys high, that on the S having been a kitchen. The neck of land on which the castle stands has been isolated by a ditch and mound some 70 yds from the walls. 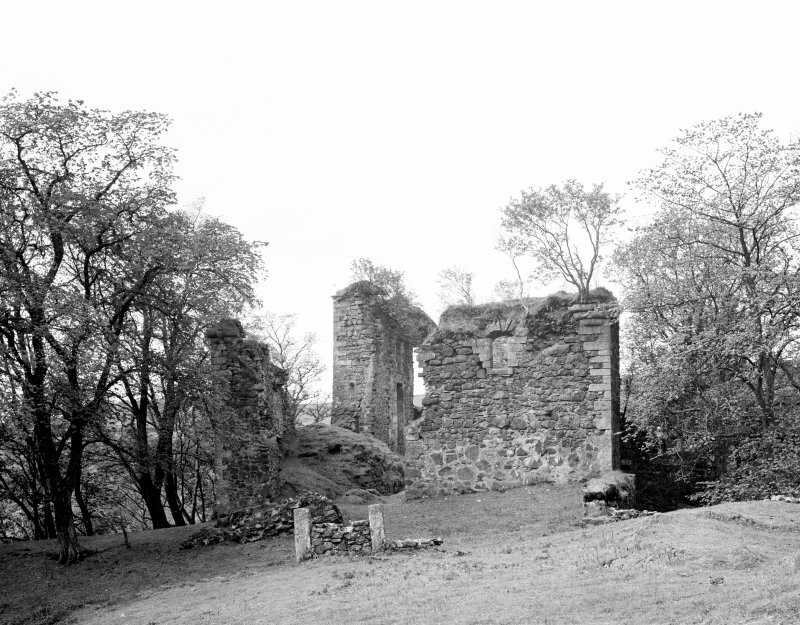 Glengarnock Castle, which is as described above, is in a good state of presrvation. A tablet on the wall of the keep states that W C Patrick 'Strengthened the ruins of this ancient castle AD 1841'. Crossing the promontory upon which the castle is sited, and 70.0m E of the castle is a ditch 30.0m in length, with an average depth of 4.0m and width of 8.0m. The mound referred to by MacGibbon and Ross is E of the ditch and appears to be natural. Previous field report confirmed. The ditch to the E of the castle merges into a natural gully on the S side of the promontory. On the N side of the promontory and midway between the castle and the ditch are the footings of a building up to 0.3m high, measuring 16.0 by 5.0m, which was possibly associated with the castle. No change. The compartmented building on the N side of the promontory is clearly domestic and is probably a farmstead.